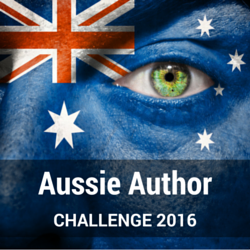 Today I'm signing up for the Aussie Author Challenge 2016 run by Booklover Book Reviews, after discovering one of my favourite books of 2015 (The Messenger by Markus Zusak) on the challenge last year. If you want to join me and read more books by Aussie authors you can take part in the challenge via Facebook, GoodReads or Google+ (you don't need a website or a book blog to participate). I'm committing to the Kangaroo level again. - At least 3 genres. I'm looking forward to supporting and discovering new Aussie authors again this year, who's with me? Wonderful to have you back again in 2016 Tracey. Looking forward to seeing which great titles you find this year!